Administrative Law Judge (ALJ) Clara L. Slifkin, Office of Administrative Hearings (OAH), State of California, heard this matter in Larkspur, California, on June 5, 2012 through June 7, 2012, and June 12, 2012 through June 13, 2012. Christian M. Knox, Attorney at Law, represented Student. Student’s mother attended the hearing on all days and father attended on June 5, 2012 and June 12, 2012. Lenore Silverman, Attorney at Law, represented the Tamalpais Union High School District (District). Karen Mates (Ms. Mates), director of special education, attended the hearing on all days except for June 13, 2012, when Lead School Psychologist Amira Mostafa (Ms. Mostafa) attended. On March 15, 2012, Student filed a Request for Due Process Hearing (complaint). On April 23, 2012, for good cause shown, OAH granted the parties’ joint request to continue the due process hearing. The record remained open until closing briefs were filed on July 3, 2012, at which time the matter was submitted. 1 The issue has been slightly re-worded for clarity. 2 As indicated in Factual Finding 84, on March 22, 2010, the parties entered into a mediation agreement resolving all issues prior to that date. In this Decision, Factual Findings before that date focus on Student’s background and unique needs known to District for purpose of analyzing the appropriateness of its September 3, 2010 IEP offer. 1. Student is a 17-year-old young man who resided within the boundaries of and matriculated to the District in the fall of the 2009-2010 school year. At the time of hearing, Student was eligible for special education under the primary eligibility category of serious emotional disturbance (ED). Student was also eligible under the secondary eligibility category of other health impairments (OHI). 2. In October 2001, Student was privately assessed by neuropsychologist Sarah Hall, Ph. D. (Dr. Hall). Dr. Hall’s report documented Parents’ concern about potential lasting effects from a fall at age two, as well as concerns with reading, writing, and emotional and behavioral problems. She wrote Student had a statistically significant discrepancy between his cognitive abilities and his reading and writing skills, due to deficits in attention and grapho-motor control. In the areas of social-emotional functioning and behavior, Student demonstrated interpersonal difficulties with peers and adults, poor social skills, problems with aggression, and some indications of anxiety and unhappiness about school and academic performance. In January 2002, while in first grade, an IEP team in another school district found Student eligible for special education as a student with a specific learning disability (SLD). 3. In second grade, a Behavioral Intervention Plan (BIP) was implemented due to Student’s aggressive behaviors. In third grade, an IEP team pursuant to AB 3632 3 referred him to Marin Community Mental Health (CMH) for assessment. The CMH report noted that a psychiatrist, Dr. Paul Gilbert (Dr. Gilbert), provided Student with medication management and therapy due to depression and inattentive behavior. In fourth grade at Student’s February 1, 2005 triennial IEP, Student’s eligibility was changed to ED due to Student’s depression, anxiety, and behavior issues. 3 At all times relevant, mental health services related to a pupil’s education were provided by a local county mental health agency that was jointly responsible with the school district pursuant to Chapter 26.5 of the Government Code. (Gov. Code §7570, et seq., often referred to by its Assembly Bill name, AB 3632 [Chapter 26.5].) AB 3632 was suspended effective July 1, 2011 and repealed on January 1, 2012. 4. In fifth grade, Student continued to struggle academically and emotionally. Student reacted to increased demands and perceived challenges through tears and anger. Due to Student’s history of significant school avoidance, somatic symptoms, and defiant, disruptive incidents with school peers and staff, Student was referred for another AB 3632 assessment. In an October 2006 report, CMH Clinician Dr. Ana Guimoye (Dr. Guimoye) recommended Student attend a blended program. The blended program was an integrated therapeutic, behavioral, and academic special day class (SDC) setting co-operated by CMH and school districts in Marin County. The IEP team agreed with her recommendation. For the remainder of the sixth grade, seventh, and eighth grades, Student attended the blended program at Hall Middle School (Hall) in another district. During this time, SDC Teacher Jennifer Boyd (Ms. Boyd) taught Student in the blended classroom. 5. At Student’s January 2008 triennial IEP, the team continued to find Student eligible as ED, due to Student’s continued struggle with depression, aggression, and somatization. 6. In the spring of 2008, Student made good progress at the blended program at Hall. Student attended four mainstream classes. However, Student’s progress was short lived. Beginning in the fall of 2008, Student lost motivation and failed to complete assignments and homework. As he failed classes, Student’s behavior at home became steadily more erratic and defiant. 7. On January 20, 2009, Student’s annual IEP team meeting was held to review assessments, review Student’s progress, review Student’s behavioral support plan (BSP), develop goals, and discuss placement and services for the 2009-2010 school year. The attendees included Parents, Student, Administrator Mike Gardner (Mr. Gardner), Ms. Boyd, and CMH Therapist Kevin Charles (Mr. Charles). Although not present, the team considered written reports from Student’s science and physical education teachers. 8. Ms. Boyd presented her annual review summary. Mr. Charles presented his AB 3632 update. The team discussed Student’s BSP and identified problem behaviors: refusing to leave Parent’s car when he arrived at school; refusing to attend his general education classes; and shutting down. At times his behavior escalated and he refused to follow directions and swore at staff. Student’s BSP noted that Student’s behavior impeded his learning because Student missed class instruction, classwork, and homework. The team designed supports to help Student focus and get through his school day. The team agreed that Student’s behaviors occurred because Student wanted to escape and to avoid academic expectations. The IEP team proposed social-emotional and behavior goals to address Student’s: 1) shutting down; 2) reporting physical complaints to avoid or delay school tasks in his mainstream classes; 3) failing to take responsibility for his feelings; and 4) attending four mainstream classes with no increased somatic complaints. 9. The IEP team continued to offer Student: placement in the blended program; and 50-minutes a week of individual therapy, 50-minutes a month of family therapy and bimonthly group therapy. 10. Parents consented to the January 1, 2009 IEP. The team also agreed to meet in the spring to discuss high school placement options. 11. In February 2009, Parents reported Student had a marked change in behavior. He was defiant, ran away, exaggerated, lied, and admitted to drug use. On February 24, 2009, a Manifestation Determination IEP was held following Student’s possession of a knife on the Hall campus. The IEP team found Student’s possession of a knife was not a manifestation of his disability. Student was placed on home instruction as a 45-day Interim Alternative Educational Setting (IAES). 12. In March 2009, Student’s behavior at home regressed. Parents reported Student acted highly erratically and was not safe. Student’s psychiatrist prescribed medication for anxiety, possible depression, and to control his ADHD. Concerned about his behavior Parents agreed to admit him to Kaiser Respite House while his psychiatrist monitored a medication change. 13. In the late spring of 2009, Parents worked with Kaiser Intensive Outpatient Program (KIOP) to address Student’s defiance and substance abuse problems. However, Student was not successful in the program and continued to use drugs and some alcohol. In the late spring, Student was arrested, appeared in juvenile drug court, was placed on probation, and subject to drug testing. At hearing, Mother confirmed Student started using marijuana, salvia, mushrooms, and alcohol sometime around eighth grade. Mother explained that Student was placed on probation because he used drugs and ran away from home. Student violated the terms and conditions of probation and was incarcerated at juvenile hall in the fall of 2009. 14. On March 30, 2009, District convened an IEP team meeting to discuss Student’s return to school. The attendees included Parents, Student, Mr. Gardner, Ms. Boyd, Mr. Charles, Vice Principal Andy Boone (Mr. Boone) and Ms. Mates. Parents expressed their concern about Student’s behavior and explained that he acted erratically, placing himself in danger by leaving home without permission and riding a bus around the County. Parents reported that KIOP placed Student in a respite house for several days to monitor a medication change and Student responded very well to the structure of respite care. Mr. Charles shared that closer medical management was critical and Student responded well to structure. He believed Student demonstrated some elements of a thought disorder that caused Student to appear much younger than his chronological age. Although Mr. Charles offered a CMH Level of Care Assessment (LOC Assessment), Parents declined. 15. The team discussed Student’s return to the blended program. The team agreed Student should: 1) return to school at the end of the week; 2) remain in SDC class 100 percent of time during his transition; 3) not carry a book bag; 4) check in every morning with Mr. Boone; and 5) attend District’s extended school year (ESY) program. The team also discussed and agreed to Student’s placement in the fall in District’s blended program at Tamalpais High School (Tam). The team further agreed to meet in the spring to finalize Student’s placement. Student returned to the blended program on April 1, 2009. At some time after this IEP team meeting, Parents consented and Student was referred to CMH for a LOC Assessment. 16. Mr. Charles prepared a June 2009 AB 3632 update. He reported that Student was successful in the blended program class in spring 2008 but during the 2008-2009 school year Student lost his motivation to complete assignments and his behavior became more erratic and defiant. As Student failed classes, and then withdrew from them, his behavior at home became steadily more erratic and defiant. Mr. Charles commended Parents for working with the KIOP to address problems resulting from defiance, substance abuse, and self-destructive behavior. Although Mr. Charles asserted that CMH was gravely concerned about Student, he recommended Student receive blended services for the 2009-2010 school year and CMH services during the summer. 17. The IEP team recommended placement at the blended program at Tam for the 2009-2010 school year. The blended program is a combined therapeutic and academic special day class setting co-operated by CMH and District that was similar to the middle school blended program Student had been attending. 18. On June 9, 2009, the IEP team reconvened to discuss Student’s transition to High School. The attendees included Parents, Mr. Gardner, Ms. Boyd, Mr. Charles, Tam Blended SDC Teacher Jane Hall (Ms. Hall), CMH Clinician Suzanne Alfandari (Ms. Alfandari), and Dr. Guimoye. The team discussed Parents’ concern about Student’s need for more support due to his inability to stay organized and complete assignments. Mr. Charles presented his AB 3632 update report and commended Parents’ collaboration with the blended program team. He reported that Student responded very well to increased structure and he observed Parents’ hard work at containing Student’s behavior at home. Mr. Charles recommended Student continue to receive blended program services for the 2009-2010 school year. 19. The team discussed a range of placement options. Ms. Alfandari discussed the LOC Assessment she was completing. She described the blended program versus a day treatment program. She recommended the blended program for the fall. The IEP team agreed that it would reconvene to review the LOC Assessment, when it was completed. 20. On July 15, 2009, Ms. Alfandari completed Student’s LOC Assessment. She interviewed Student’s service providers, SDC teachers, Parents, and Student. Student’s service providers include: 1) Mr. Charles; 2) Dr. James Palmer Kaiser IOP program (Dr. Kaiser); 3) Kaiser Family Therapist Dr. Wolfson; 4) Kaiser Psychiatrist Dr. Kenneth Berg (Dr. Berg); and 5) Teachers Ms. Boyd and Ms. Hall. Student’s doctors characterized Student as oppositional with poor insight and impulse control. Student was involved with power play and resistance, and appeared to be “allergic” to school. He acted out for attention, made poor choices and had low self-esteem. All agreed Student had learning disabilities. Parents reported that Student went in and out of odd behaviors. Both Parents and Student shared their perspective on his drug testing: Parents believed they had been inconsistent with his drug testing; and Student reported he was almost finished with his drug court requirements. Consistent with Student’s oppositional characteristics Student reported that he listened to adult directives 50 percent of the time. According to Student’s doctors, he was anxious but more symptomatic of Oppositional Defiant Disorder than an underlying core depression or anxiety. 21. Ms. Alfandari reported, when Student returned to school in April 2009, he had difficulty arriving at school on time; would easily break down in tears or swear at staff and other students; and refused to follow staff instruction 50 percent of the time. Student completed only 20 percent of his work and approximately 10 percent of his homework. Although Student’s last IEP goal was directed at reducing his somatic complaints in mainstream classes, since his return to school in April 2009 he only attended the blended class. 22. In summary, Ms. Alfandari concluded Student’s behaviors may be from mood lability or a core-underlying depression or anxiety. She also thought it was possible the behaviors were an indication of drug use in spite of having clean drug tests. All providers agreed that Parents’ collaborative co-parenting was vital to Student’s emotional gains that affect his schooling. Ms. Alfandari recommended: 1) Student remain in the blended class to address his underlying emotional issues, with weekly family/parent therapy and once a month individual therapy; and, 2) a medication evaluation to address his anxious symptoms. She also proposed that the IEP team adopt a new goal that by January 20, 2010, Student would engage in therapy with his family to increase consistent family interventions and decrease Student’s anxiety. 23. On August 31, 2009, Alfandari updated her LOC Assessment. She included new information: 1) CMH offered Student family therapy to support Parents during Student’s transition to High School; and 2) Student’s current teacher at the blended program at Tam, Ms. Hall reported that Student had been absent often and was suspended for three days for marijuana possession and smoking marijuana off-campus. Student was openly using marijuana to mask his anxiety symptoms. Ms. Alfandari continued to recommend the blended program at Tam with therapy from CMH. 24. The 2009-2010 school year began August 19, 2009. Student was enrolled and attended one full day of school at the blended program at Tam on August 20, 2009. Student was tardy or cut classes on August 21, 24, 25 and 26, 2009. On August 27, 2009, Student was suspended for three days from school for off-campus marijuana possession. Student returned to school on September 2, 2009 and September 3, 2009. Student was placed in juvenile hall on September 4, 2009, where he remained until September 30, 2009, at which time he was placed in a drug treatment program. Student was removed from the drug treatment program due to fighting. On October 14, 2009, he was returned to juvenile hall. Student never returned to the blended program at Tam. 25. Ms. Hall was Student’s teacher in the SDC class of the blended program at Tam. In 1965, she began her teaching career and since 1997, taught at Tam. At hearing, Ms. Hall described the structure of her class and the intensive level of mental health and behavioral services available to students throughout the school day. She explained that some students were mainstreamed for all academic classes and others remained in her class for the entire day with access to a psychologist to assist with emotional and/or behavioral services. Ms. Hall opined the blended classroom with close access to a therapist and behaviorist was designed to provide Student with maximum behavioral and academic support throughout the school day. Ms. Hall was an experienced teacher, and knowledgeable about the blended program at Tam. 26. Ms. Hall held transition meetings for all new students and could not recall meeting any student that year that was inappropriate for her SDC class. She trusted the middle school blended teacher, Ms. Boyd, such that if Ms. Boyd believed Student should be served in her program, then she believed the program was appropriate. 27. Ms. Hall remembered Student, even though he was in her class for only one full day and tardy or partially absent the other days. Although Student was not in her class for very long, when he attended he was cooperative, polite, and hard working. On one occasion, she recalled meeting Student at Parents’ car to facilitate his coming into class. 28. On October 7, 2009, the IEP team met to discuss Ms. Alfandari’s August 31, 2009 LOC Assessment Update. Parents, Ms. Mates, Ms. Alfandari, Ms. Hall, and Math Teacher David Wetzel (Mr. Wetzel) attended. Ms. Alfandari explained she consulted with Student’s private providers at Kaiser, Dr. Palmer, Dr. Berg, and Dr. Wolfson, who indicated a diagnosis of Oppositional Defiant Disorder, as well as acting out for attention, low selfesteem, drug use, and possible depression and mood labiality. Although Student failed to make progress on his behavior goals, Ms. Alfandari recommended continued placement at the Tam Blended Program, family/parent therapy and a medication evaluation. Parents objected to Ms. Alfandari’s placement recommendation and indicated they were consistent about taking Student to drug testing. District’s placement offer was the blended program at Tam; however, the team also discussed the possibility of Phoenix High School (Phoenix), an alternative school for student with substance abuse issues. Parents agreed to visit Phoenix, and it was understood that the IEP team would meet to revisit placement if Student was interested and accepted at Phoenix. The IEP Team adjusted Student’s schedule so he would have more adult supervision during the school day. Parents visited Phoenix and rejected the program based on their fear that Phoenix students would encourage Student to use drugs. 29. Mr. Wetzel shared that when Student attended school, he was engaged and able to work if supervised. He asked Parents to contact him when Student returned to make sure they understood Student’s assignments and due dates. 30. District offered a psychoeducational assessment and Parents agreed to sign the assessment plan. The team agreed that if Student returned at the end of November, District would provide Student with home instruction for the rest of the school year. 31. From October 14, 2009 through December 7, 2009, Student attended Alta Loma School at juvenile hall (Alta Loma). He performed well at Alta Loma and earned: “B’s” in English 2, Geography, Integrated Science 2, and General Math; and an “A” in physical education. Academically, Student performed well in the structured, secured environment of juvenile hall. 32. On November 6, 2009, Parents wrote a letter addressed to the IEP Team requesting a LOC Assessment. Parents expressed their concern that Student was a danger to himself and perhaps others because of his poor mental health, truancy, elopement from home, ignoring curfew, physically threatening Parents, and poor choices. Parents believed that Student required residential intervention so that he would receive an appropriate education. Parents’ emphasized rapid action was necessary because Student may be released from juvenile hall on November 25, 2009. 33. While at juvenile hall Student was assessed by Amira Mostafa (Ms. Mostafa), who is the lead school psychologist for District. Ms. Mostafa testified at hearing. Ms. Mostafa received her bachelor’s degree in psychology with a minor in special education from San Francisco State University (SFSU), and her master’s degree in school and clinical psychology from SFSU, in May 1997. In May 1998, she also received her school psychology credential from SFSU. Since October 2000, she was nationally credentialed by the National Association of School Psychologists and holds a clear credential in pupil personnel services and administrative services. She has been a licensed educational psychologist since October 2000. From 1998 to 2003, she was a school psychologist for the Marin County Office of Education. From 1999 to 2007, she was an adjunct professor, lecturer and graduate department of psychology applicant evaluator for the school psychology credential program at SFSU. Since 2003, Ms. Mostafa has been a school psychologist for District, and has been its lead school psychologist since 2006. Ms. Mostafa was an experienced school psychologist with excellent knowledge of the Marin school system and the least restrictive environment. 34. As the lead psychologist, she consults and collaborates with other school psychologists in District, develops policy for programs, works closely with special education administrator, handles legal issues, and is responsible for students in residential placements. Before she became lead psychologist, she provided assistance to staff for students who had learning and behavioral problems, including referring children for special education assessments, conducting assessments, report writing, and attending IEP team meetings. 35. In December 2009, Ms. Mostafa first met Student while he was incarcerated at juvenile hall. Because the IEP team was concerned about Student’s escalating behaviors and lack of academic progress, Ms. Mostafa was asked to conduct a comprehensive psychoeducational assessment. In preparation for her assessment, she reviewed Student’s past educational records, consulted with Tam staff, Marin County Probation Officer Wardell Anderson (Mr. Anderson), Dr. Berg, CMH staff, and interviewed Student and Parents. Ms. Mostafa assessed Student over a two day period at juvenile hall with the help of resource specialist Lisa Fredericks. Because Student was in juvenile hall, she was not able to observe him in class. 36. Ms. Mostafa used a wide variety of measures during her assessment of Student. She thoroughly reviewed Student’s records including prior AB 3632 assessments performed by CMH. She observed Student during testing, interviewed teachers, and administered the following tests: (1) Woodcock-Johnson III, Normative Update: Tests of Cognitive Abilities & Tests of Achievement (W-J III); (2) Cognitive Assessment System (CAS); (3) Behavioral Assessment System for Children, Second Edition (BASC 2); (4) Sentence Completion Activity; (5) Reynolds Adolescent Depression Scale, Second Edition (RADS-2); (6) Multidimensional Anxiety Scale for Children (MASC); (7) Brown ADD Scales-Adolescent ; (8) Substance Abuse Subtle Screening Inventory-Adolescent (SASSI-A); (8) Scale for Assessing Emotional Disturbance; (9) Rorschach Inkblot Test-Exner; (10) Wechsler Individual Achievement Test, Second Edition (WIAT II); and, (11) Test of Written Language, Third Edition (TOWL 3). During the assessments, Ms. Mostafa noted that Student was cooperative and pleasant to work with, easy to engage in conversation, upfront in his responses, and seemed to enjoy positive feedback. However, he was not interested in putting forth extra effort, would give up quickly when the work was more challenging, and accepted his initial product without seeking improvement. 37. Ms. Mostafa completed her written report on December 3, 2009. On the W-J III, Student scored in the average range on the general intellectual ability (GIA), verbal ability, and thinking ability clusters. Student obtained an overall GIA in the average range, a score of 93 which is at the 31st percentile. 38. Student’s performance on the W-J III revealed normal cognitive development in many domains. Although he performed well on a planning test, earning a score at the 61st percentile, he complained and did not want to attempt to complete some items. Student’s attitude revealed that when he was faced with academic challenges, he may not yet have selfmotivation necessary to propel himself forward. 39. Ms. Mostafa found that Student’s working memory and attention capacity was in the low average range (SS 84, 14th percentile). Ms. Mostafa found Student challenged by auditory attention, screening out background noise in order to selectively attend and focus. Student earned his lowest score, below average, on the W-J III cluster measuring cognitive efficiency (SS 77, 8th percentile). Because of his low score in attention related tasks, Ms. Mostafa administered the CAS, an assessment tool designed to evaluate cognitive processing. 40. On the CAS, Student’s performance on the attention cluster was in the significantly below average range (SS 76, 5th percentile). Ms. Mostafa found Student’s lowest subtest was in expressive attention, where he had to resist distractions and inhibit his response to competing stimuli. On the CAS planning processing scale, Student performed in the low average to average range (SS 89, 23rd percentile). This scale measured Student’s ability to strategize, develop a plan of action, and revise/modify the plan and to self-monitor. Significantly, during administration of the CAS, Student demonstrated some impulsivity: he jumped ahead without listening to instructions. 41. Thus, Student’s cognitive profile revealed attention processing deficits, identified across multiple measures. Because of these deficits, Ms. Mostafa concluded, Student struggled with selective attention and had difficulty ignoring distractions, inhibiting his impulses, and sustaining concentration over time. 42. Overall, Ms. Mostafa found Student performed in the average range on academic subjects. On the W-J III, Student’s standard score in broad math and in letter-word identification and reading fluency were in the average range. Ms. Mostafa also found Student was able to convey simple ideas in meaningful written sentences. However, Student’s overall spontaneous writing quotient was 79 (8th percentile). Student completed the 15-minute writing assignment in four minutes, resulting in a short story with no punctuation and little thought. Thus, Ms. Mostafa reported Student’s spontaneous writing was an area of academic weakness. 43. Ms. Mostafa focused on social-emotional assessments, in light of Student’s ED eligibility and escalating behaviors. During her assessments, Ms. Mostafa found Student cooperative, candid, honest, and direct. Student shared he felt positive about his friendships and believed his friends would support his sobriety because they were all on probation for drug violations. Although Student believed he behaved well, his school attendance was poor. In fact, he had no opinion about the Tam Blended Program because he attended a total of five days. He was candid about his substance abuse and expressed his readiness to return home and to participate in therapy. Student briefly described his emotional well-being, stating that he never experienced depression, but he admitted to being anxious, feeling “stressed,” or having stomach aches. Student shared he was on prescribed medication because of his ADHD. 44. In order to evaluate Student’s personality dynamics and the potential for mental illness, Ms. Mostafa administered a Sentence Completion Test, the BASC2, the RADs-2, the MASC, the Rorschach Inkblot Test (Rorschach), and the Scale for Assessing Emotional Disturbance (SAED). She also consulted with Student’s therapists. On the Sentence Completion Test, Student’s responses were brief and to the point. Many of his answers related to his drug use and wanting help to tackle this problem. He viewed his drug use as negative, with life consequences such as incarceration at juvenile hall and problems with schoolwork. Ms. Mostafa found Student sensitive about how others perceived and responded to him. 45. On the BASC 2, Student’s self-report suggested he had typical functioning or even experienced fewer problems than others his age. Student denied any depression, anxiety, feelings of inadequacy, somatization, attention problems and acting out behaviors. Ms. Mostafa found that consistent with Student’s denial of troubling thoughts, feelings or behaviors. Student was average to above average on adaptive skills and personal adjustment. Student also reported that he had high self-esteem and feelings of self-worth. In contrast, although Student’s self-reliance score was within normal limits, he conceded needing help with his problems and feeling unable to handle most things on his own. 46. In stark contrast to Student’s denial of any emotional or behavioral problems, Parents reported that Student had clinically significant emotional and behavioral problems. Parents scored Student in presenting problems at the clinically significant range, as follows: 1) 99th percentile in hyperactivity, conduct problems, atypicality, and attention problems; 2) 98th percentile in depression and internalizing problems; and, 3) 97th percentile in somatization and withdrawal. Also in contrast to Student’s high adaptive skills scores, Parents’ scored Student in the 1st percentile for adaptive skills and far below average in adaptability, social skills, activities of daily living, and functional communication. Because of the sharp contrast in Student and Parent scores on the BASC2, Ms. Mostafa suggested the family work towards establishing some common ground. 47. The RADS-2 revealed Student’s overall affect/mood was in the average range. He scored in the normal to low level range in all test areas: Dysphonic Mood; Negative Affect; Negative Self-Evaluation; Somatic Complaints; and Depression. Consistent with his scores, Student reported that he felt happy and loved, and denied feelings of hopelessness, loneliness or thoughts of self-harm. Based on Student’s scores, Ms. Mostafa found no areas of concern regarding depression. 48. The MASC is a self-report designed to assess a variety of anxiety dimensions. Areas it measured included: Physical Symptoms (tense and somatic subscales); Harm Avoidance (perfectionism and anxious coping subscales); Social Anxiety (humiliation and performance fears subscales); Separation/Panic; and Anxiety Disorders. Because Student’s scores were in the average to below average range, Ms. Mostafa concluded that an anxiety disorder was unlikely. However, Student reported that at times he experienced somatic complaints, such as pains in his chest and feeling sick to his stomach. Based on Student’s responses, Ms. Mostafa was not able to conclude that Student’s symptoms were actually psychosomatic. She opined that they might be a result of his substance use. 49. In order to gather current information about Student’s personality, emotional processing and interpersonal functioning, Ms. Mostafa administered the Rorschach. The results of the Rorschach indicated a clinically significant score on the Depression and Coping Deficit Indexes. Although Student reported no mood problems and did not complain about feeling depressed or anxious, Student’s scores indicated he was susceptible to emotional upset and general malaise. Student’s impressions evidenced: 1) a tendency to withdraw rather than deal with strong feelings; 2) oppositional tendencies revealing a general disposition towards negativity; 3) significant adjustment difficulties that might undermine his judgment and relationships; 4) limited ability to manage interpersonal relationships; 5) limited capacity to form close attachments to people; 6) limited social skills might make him vulnerable to feelings of embarrassment; and 7) his narrow focus of attention may result in simplistic solutions to complex problems. Thus, Ms. Mostafa concluded Student’s responses revealed: 1) Student was most confortable in clearly defined and well-structured situations; 2) had a lack of introspection and self-awareness resulting in difficulty to modify his behavior; and 3) may engage in self-gratifying behaviors without sufficient delay or restraint, contributing to impulsivity and behavior problems. 50. Ms. Mostafa also reported the Rorschach revealed Student’s strengths in his abilities to: 1) reality test; 2) form accurate impressions; 3) interpret the actions and intentions of others; 4) anticipate the consequences of his actions; and 5) recognize appropriate behavior. Because Student’s test results evidenced no thought disorder, Ms. Mostafa concluded Student was able to think logically and coherently. 51. In order to assess Student’s continued eligibility under the category of ED and assist in differentiating ED from the exclusionary condition of socially maladjusted, Ms. Mostafa administered the SAED. Student’s classroom teacher Ms. Hall and instructional aide Cassandra Slack collaborated on completing the SAED. Ms. Mostafa admitted that the results of the SAED should be viewed cautiously because Student’s attendance at Tam was limited. Student’s teachers observed that Student’s poor social skills resulted in severe relationship problems with his classmates who rejected and avoided him. In turn, Student felt picked on or persecuted; he presented as anxious, worried, and tense and complained of physical discomfort. Concurrently, Student presented with clinically significant SAED scores in the 94th percentile in ED and 95th percentile in characteristics of social maladjustment. Because Student was only present in Ms. Hall’s class for five days, her responses were a collaborative effort. Ms. Mostafa reported her findings as inconclusive. 52. In consulting with Student’s Psychiatrist Dr. Berg, he raised further questions as to whether Student was emotionally disturbed or socially maladjusted. At first, Dr. Berg diagnosed Student as bipolar and now believed Student exhibited characteristics of intermittent explosive disorder. He continued to adjust Student’s medication and formulate how to approach Student’s behavior. He agreed with Ms. Mostafa’s finding: there was a dichotomy between how Parents’ perceived Student and how he perceived himself. 53. In order to evaluate Student in the area of attention and symptoms of ADHD, Ms. Mostafa administered the Brown ADD Scales-Adolescent, an interview-based selfreport. Ms. Mostafa found Student’s responses in organizing and activating for work, sustaining attention and concentration, sustaining energy and effort, managing affective interference, utilizing working memory and accessing recall, placed him in the average range, suggesting normal functioning and not ADHD. Student reported almost daily that his mind drifted and he missed out on needed information. 54. In order to evaluate Student’s alcohol and other drug use, Ms. Mostafa administered the SASSI-A2, which showed a high probability that Student had a substance abuse disorder. Student scored in the clinically significant range on a face-valid scale of drug use, indicating that Student had frequent and problematic drug use. Similarly, Student scored in the clinically significant range on a symptoms scale demonstrating Student’s willingness to admit and disclose his loss of control and the negative effects of drug use. Ms. Mostafa concluded Student’s honesty on this self-reporting instrument and his denial of emotional/mood disorder symptomology was a powerful statement that he needed and wanted substance abuse intervention. 55. Ms. Mostafa explained that the SASSI-A2 also included subtle scales that measure behavioral characteristics associated with substance use. Ms. Mostafa found Student’s self-report was significantly elevated on both Friends & Family Risk and Attitudes scales, suggesting he was a part of a social system that may enable his drug abuse. Thus, Ms. Mostafa opined Student’s sobriety and recovery would be successful, with adequate social support within his community. Finally, because Student scored a solid average on the Defensiveness scale, Ms. Mostafa found it likely Student was honest about his drug-use, and not self-medicating. 56. Ms. Mostafa provided extensive testimony explaining her assessments and her reported findings regarding Student’s continued eligibility for special education services. With average cognitive abilities and average academic skills, Student did not meet the special education eligibility criteria for Specific Learning Disability. However, she found that his inconsistent attention, limited processing abilities, limited auditory attention and focus, impulsivity, and low frustration tolerance, indicated ADHD. Because Student’s educational performance was adversely affected by heightened alertness to environmental stimuli, resulting in limited alertness to the educational environment, due to chronic health problems of ADHD, Ms. Mostafa found he met the eligibility of Other Health Impaired (OHI). 57. However, Ms. Mostafa was tentative about Student’s continued ED eligibility. Student’s social emotional issues presented a complex picture. Although since fourth grade Student met eligibility criterion for ED, at present Ms. Mostafa was unable to find an identifiable mood disorder or emotional condition such as depression for this eligibility. However, she found emotions and behaviors interfered with Student’s school functioning: anxiety related to academic performance; inability to cope; aggressive behavior; low performance frustration tolerance; and strained interpersonal relationships. Although Ms. Mostafa recommended Student’s continued eligibility under criteria for ED due to his anxiety, she cautioned that he also presented as a student with social maladjustment. She noted that behaviors such as angry outbursts, aggression, threats, dishonesty, manipulation, defiance, resistance to following rules, drug use, and breaking the law are characteristics often found in those diagnosed with Oppositional Defiance Disorder or Conduct Disorder. Ms. Mostafa found that complicating Student’s profile was his regular drug use over the past two to three years. 58. At hearing, Ms. Mostafa explained a high score on the SASSI-A2 Defensiveness scale suggested a need to conceal evidence of problems and a low score suggested an individual focused on personal limitations, experienced symptoms of depression or mood disorder and was self-medicating to compensate or conceal personal problems. Ms. Mostafa explained that Student’s average score on this scale demonstrated that he was honest about his drug use, and was not self-medicating. Ms. Mostafa’s finding was supported by the wide variety of measures she used to assess Student and her experience as an educational psychologist and education. Ms. Mostafa cited in her report and testified that while it was not the obligation of the educational agency to provide drug treatment, she recommended that this be a priority of Student’s family. 59. On December 7, 2009, District convened an IEP team meeting to review Ms. Mostafa’s psychoeducational assessment, to determine Student’s current eligibility and to determine appropriate placement, and plan Student’s transition back to school from juvenile hall. The attendees included Parents, Ms. Mates, SDC Teacher Ms. Hall, Ms. Mostafa, Resource Specialist Lisa Fredericks (Ms. Fredericks), and Mr. Charles. 60. The team discussed Ms. Mostafa’s report and agreed that Student continued to be eligible for special education services under the category of ED with a secondary eligibility of OHI. All members of the team discussed their concern about Student’s drug use and that this was currently the biggest interference with Student’s education. Mr. Charles shared that during the summer Student would not participate in family therapy and concluded that unless sober, Student would not participate in therapeutic treatment. Mr. Charles stated that in the middle school blended program, Student attended three to four general education classes, but voiced concern that Student’s drug use for the past two to three years interfered with his success. Parents signed an assessment plan for CMH to perform another LOC assessment. CMH described other possible services from the Center for Restorative Practice (CFRP), a wraparound program within home family support. Student’s BSP and goals were reviewed. 61. The team offered placement in the blended program at Tam, with general education classes 42 percent of day and the rest of day in the blended SDC class. In addition, through CMH, Student was offered 50-minutes of individual and 50-minutes of group counseling per week and 50-minutes of family counseling per month in the blended class. The IEP team also offered Student home instruction until December 18, 2009. Parents consented to the December 7, 2009 IEP. 62. Dr. Guimoye is employed by the County of Marin as a case manager and facilitator for the wraparound program, and provided testimony at hearing. Her duties include conducting assessments of children and adolescents to determine the level of care necessary to meet their pyschoeducational needs, developing therapeutic treatment plans, traveling to residential facilities across the United States to monitor therapeutic progress, and coordinating and providing discharge planning of residentially placed clients. Dr. Guimoye received her bachelor’s degree in psychology in 1998 from Dominican University, San Rafael, California. In 2002, she received her master’s degree in clinical psychology and in 2009, her doctorate in clinical psychology from the Wright Institute, Berkeley, California. From 1991 through August 2002, she was a chemical dependency counselor at the Center for Independent Living (CIL). From 2000 to 2001, she worked at Kaiser in Richmond, California providing therapy and educating adults and adolescents with substance abuse issues. From 2001-2002 , she worked at Full Circle Programs, implementing and supervising behavior modification and treatment plans and providing therapy to adolescents with emotional and behavioral difficulties. 63. Dr. Guimoye prepared and provided an AB 3632 Assessment Report to Student’s February 23, 2010 IEP team. In preparation for her report, she interviewed Student, Parents, Mr. Charles, and Mr. Anderson. She reviewed Kaiser medical records, a report by Virginia Paridon from Common Grounds, a psychological report by Dr. Richard I. Pollack (Dr. Pollack), IEP documents, and CMH documents. In 2004, Dr. Guimoye assessed Student and recommended the blended program to address his symptoms of social anxiety, oppositional and defiant behaviors, and relationship issues at home and at school. 64. During Dr. Guimoye’s interview, she observed Student was polite and cooperative, but minimized his problems. He was somewhat depressed, endorsed past suicidal ideation, and took responsibility for his actions. Student was candid with Dr. Guimoye and admitted his use of drugs and alcohol, which were confirmed by Parents. However, she noted that Student lacked the sophistication and knowledge about drugs seen in same age peers who used street drugs and alcohol. 65. Dr. Guimoye summarized her findings: 1) Student’s anxiety and poor coping resulted in a loss of academic benefits; 2) Student distorted reality when anxious; 3) Student engaged in a number of altercations at school; 4) Student used drugs to cope with his anxiety and depression; and 5) Student attended drug treatment programs but failed to complete the programs. She found Student’s legal problems were primarily due to repeated violations of probation terms and his inability to remain in treatment ordered by his doctors and required by his probation officer. Thus, Dr. Guimoye concluded that Student’s emotional symptoms, his oppositional behaviors, refusal to accept treatment, and inability to benefit from his education are pernicious and difficult to treat. 66. Dr. Guimoye recommended Student continue in his placement at the blended program. She endorsed the program because it provided a structured supportive setting in a therapeutic environment; high staff to student ratio with a mainstream and a special education teacher; behavioral coach and instructional aide; and an onsite mental health practitioner, who provided individual, family, and group therapy. Dr. Guimoye’s report was sent to the IEP team. 67. At hearing, Dr. Guimoye explained that a LOC report was a recommendation for placement to assist an IEP team in determining the appropriate level of care and type of therapeutic setting a student with psychological problems required to make educational progress. She focused on the system of care, the family, and support in community. At CMH, she performed hundreds of level of care assessments and prior to her current position she worked for Marin County for 10 years and performed hundreds of assessments. She was experienced in writing reports and analyzing criterion for AB 3632 placement. She recommended residential placement about 50 to 60 percent of the time. A locked residential placement is reserved for students with severe emotional impairment in order to protect them from themselves and others. From her 20 years at CIL as a drug counselor, her goal was to help her clients live a sober life in the community. She had read a number of studies that concluded placing students with behavior and drug addiction problems was most effective in the community. Because of Dr. Guimoye’s education and experience, and her assessment of Student on more than one occasion over time, her testimony was persuasive. 68. Dr. Guimoye concluded that while Student exhibited social anxiety and psychosomatic complaints, his primary issues were attributed to oppositional defiant behavior and drug use. She met with Parents prior to the February 2010 IEP team meeting to discuss her AB 3632 report and informed Parents she was not recommending residential placement. Parents informed her that they would seek residential placement. Parents asked Dr. Guimoye to give them information and to recommend a residential placement. She provided Parents the names of three residential treatment facilities located in Utah, Heritage, Island View, and Red Rock. Dr. Guimoye suggested but did not endorse any of the RTC programs. 69. At hearing, Dr. Guimoye was certain Student did not require residential placement to meet his educational needs under the IDEA and AB 3632 regulations. She assessed Student a number of years ago and she was familiar with him. She reviewed Student’s substance abuse comorbidity, looked at antecedents, his elopement behavior and concluded Student had low self-esteem, but was not in eminent danger to himself or others. She found Student had anxiety but was not anxious. Because he was involved with drugs, he developed negative relationships. Dr. Guimoye opined that a residential treatment center was too restrictive for Student because his problems were not severe. She was familiar with the blended program at Tam and believed in her professional judgment that this was the appropriate placement for Student. The program provided appropriate therapeutic support for Student and his family. Dr. Guimoye’s testimony was persuasive. 70. On February 23, 2010, District convened an IEP team meeting to review Dr. Guimoye’s February 17, 2010 AB 3632 report and discuss Student’s placement. The attendees included Parents, Ms. Mates, Ms. Hall, and Dr. Guimoye. Parents agreed to excuse the general education teacher, who was normally a required IEP team member. 71. Dr. Guimoye presented her report. Dr. Guimoye shared that Student’s presenting problem was currently oppositional defiance and substance abuse. She recommended Student remain in the blended program. She shared that Student performed well in the blended class at Hall when he attended and he presented no behavioral or academic issues at school. Student’s problems were in the community with unstructured time. She explained that CMH would help to support Student in the community by providing a referral to CFRP for wraparound services and individual and family therapy through the blended class. CFRP is a family driven program, enlisting support of family to preserve the family unit. A therapist and a mentor would be provided to Student. The team at CFRP decides the number of meetings per week and who they would need to join the team. District members of the IEP team agreed with Dr. Guimoye’s analysis and recommendation. 72. District decreased its offer of mental health services to 50-minutes a week of individual therapy as needed; 50-minutes a week of family therapy as needed; and no group therapy. District offered to change blended classroom from Tam to Redwood High School (Redwood) which is at a higher functioning level and more structured. Parents’ disagreed and presented an attorney letter giving a 10-day notice of unilateral placement at a RTC, Heritage. However, Parents agreed to first try local mediation. 74. Dr. Pollack had been hired by Student’s former attorney to assess Student for residential placement. Dr. Pollack interviewed Student, Parents, Mr. Charles, Dr. Berg and Dr. Gilbert. Dr. Pollack reviewed reports and letters from Student’s doctors; IEPs; behavioral intervention plans from 2003, 2004, and 2008; AB 3632 assessments and updates from 2003, 2007, 2008, and 2009; a September 9, 2009 probation report; and, a 2009 psychoeducational assessment. Although Dr. Pollack reviewed many reports, he did not talk to Ms. Mostafa about her assessments and did not talk to Student’s teachers. 75. Dr. Pollack prepared a February 24, 2010 psychological report based on his review of Student’s records, as well as interviews with Student and Parents, and Student’s physicians. Dr. Pollack also administered the following assessments: the Wechsler Individual Scale of Intelligence-IV (WISC-IV); Wide Range Achievement Test-4 (single Word Reading); Trailmaking Test Part A and part B; Rey Complex Figure Copy Trial; SCL90-R; Mood Disorder Questionnaire; Goldberg Trauma Symptom Inventory (Goldberg); Adolescent Dissociative Experience Scale (ADES); Millon Adolescent Clinical Inventory (MACI); Rorschach Inkblot Test; Thematic Apperception Test; Incomplete Sentences; Human Figure Drawings; and Kinetic Family Drawing. 76. Dr. Pollack administered the WISC-IV to observe Student’s test behavior and to measure Student’s verbal comprehension, working memory, perceptual reasoning, processing speed and full scale IQ. Consistent with Ms. Mostafa’s assessment results, Dr. Pollack found Student within the average range of intellectual functioning with a full scale IQ score of 88. Dr. Pollack concluded that Student’s low scores on the WISC-IV in verbal comprehension demonstrated problems in communication and socialization; slow processing speed affected Student’s ability to focus and attend to tasks; and Student’s scores on neuropsychological screens suggested problems with impulsivity and planning ability. 77. Dr. Pollack found Student’s scores on the self-reporting SCL90-R, Mood Disorder Questionnaire, and the Goldberg, demonstrated a pattern of methodically denying problems of a mental or emotional nature. Student’s MACI profile suggested DSM-IV diagnoses of conduct disorder suggesting Oppositional-Defiant Disorder and adolescent antisocial behavior; Mood Disorder not otherwise specified (NOS); and histrionic and narcissistic personality traits with antisocial and compulsive features. Dr. Pollack explained that the MACI results were consistent with Student’s recent behavior history (arrests and drug abuse) and the way he presented during the assessments. On the projective tests, Dr. Pollack found Student demonstrated marginal perceptual accuracy resistant to medication treatment; failure to think ahead and consider the consequences; evidence of vulnerability to depressive episodes; mixture of fearfulness and aggression; and limited empathy and concern for others. 78. Dr. Pollack reviewed Dr. Hall’s report and talked to Mr. Charles. Dr. Pollack noted Dr. Hall reported it was unclear to her what extent Student’s problems were attributed to an early head injury. Dr. Pollack reported that Mr. Charles from CMH and he discussed Student’s long term anxiety disorder that included features of social phobia. Mr. Charles was very concerned about Student’s substance abuse problem and he would now add a diagnosis of conduct disorder to Student’s other diagnoses. Mr. Charles shared that Student’s first intervention should focus on substance abuse and he believed that residential substance abuse treatment was necessary. 79. Dr. Pollack summarized Student as an individual who was born with or acquired as a result of head injury: difficulties with emotional regulation and attention; and was prone to impulsivity and aggressive ideation. Student’s difficulties included some limitation on his ability to accurately perceive and appreciate others’ feelings. Dr. Pollack concluded that it was clear that Student’s problems that were present in middle school were a continuation of problems that had been present throughout elementary school. Student’s history made it clear that Student’s problems were not solely the result of substance abuse. Student reacted to feelings of inadequacy by covering them up with superficial bravado. Dr. Pollack reported that it was extremely unlikely that outpatient therapy would be able to get past Student’s defenses and to deal with the underlying problems. Although Student spent years of outpatient treatment and special education, behaviorally and emotionally he became out of control and only functioned well in a contained environment, like juvenile hall. Therefore, Dr. Pollack recommended treatment in a locked residential treatment setting with the goal of containing his behavior, confronting his bravado, and gaining access to his underlying feelings. 80. Although some of Dr. Pollack’s findings were consistent with Dr. Guimoye and Ms. Mostafa, his recommendation that Student must be treated in a locked residential setting was not supported by the evidence and was criticized by Dr. Guimoye and Ms. Mostafa. Because Dr. Pollack did not provide testimony at hearing, it was difficult to assess his credibility, demeanor, experience, training, personal knowledge of student, and opportunity to observe Student. If Dr. Pollack testified, his reports would not be administrative hearsay; he would be subject to direct and cross-examination and his theories would be tested. Because Dr. Guimoye’ and Ms. Mostafa’s education, training, and their credible testimony, Dr. Pollack’s conclusions were not persuasive. 81. Although she had not recommended an RTC for educational purposes, Dr. Guimoye provided Parents with the names of RTC’s. Parents enrolled Student at Red Rock Canyon School (Red Rock) in Utah, beginning March 6, 2010. Red Rock is a nonprofit certified nonpublic school located in Utah and it is a locked facility. 82. Red Rock provides education in a therapeutic setting. A mental health treatment group consisting of parents, student, therapist, clinical director, teacher, and sometimes the group leader and residential director are assembled and meet to devise a treatment plan and monitor student’s educational and mental health progress. Generally, individual and group therapy is provided weekly. 83. Students are graded and the units earned may be used towards high school graduation. For each class a student receives a packet of materials weekly to study and their assignments are due at the end of the week. Students use computers and receive some direct instruction. If a student has special needs, a copy of student’s IEP is reviewed by the general and special education teacher. The mental health treatment group monitor student’s progress on goals and revises goals as needed. Student’s therapist, general education, and special education teachers attend District IEP meetings by telephone. 84. On March 22, 2010, Parents and District entered into a mediation agreement. District and CMH agreed to pay for Student’s placement at Red Rock for the period of March 6, 2010 to September 6, 2010, including two family visits for two people at the lowest published transportation and housing cost. The District also agreed to reimburse Parents for the cost of Student and Father’s airfare to Red Rock. Finally, District agreed to convene an IEP team meeting 30-days prior to September 6, 2010 to discuss Student’s progress and placement for the 2010-2011 school year. The Mediation Agreement resolved all disputes between Parents and District up until March 22, 2010. 85. Chauncey S. Adams, Ph. D. was a clinical psychologist at Red Rock (Dr. Adams). Dr. Adams did not testify at hearing. From March 10, 2010 through April 3, 2010, he assessed Student and prepared a psychoeducational report. There was no evidence that District ever received the report. 86. In preparation for his report, Dr. Adams only interviewed Student and Parents. He administered the Woodcock Johnson III, Tests of Cognitive Abilities and Achievement; Minnesota Multiphasic Inventory Adolescent (MMPI-A); Adams Adolescent Sentence Completion Test; and Substance Abuse Subtle Screening Inventory (SASSI). 87. Dr. Adams reported Student was referred to Red Rock to work on behaving at school, communicating with his Parents, managing his anger, abusing drugs, obeying the law, and violating his probation. Student shared that he was in psycho-therapy for two years designed to target his defiance at home and school, and was prescribed medication for depression. He admitted a significant history of drug abuse beginning when he was ten years old. Dr. Adams reported that Student demonstrated poor impulse control, difficulty concentrating, and limited judgment. 88. During testing, Dr. Adams observed Student was cooperative, comfortable, attentive to tasks, and responded promptly but carefully to test questions. He found Student’s general intellectual ability and achievement scores were in the average range. Based on his findings, Dr. Adams attributed Student’s school problems primarily to his emotional and behavioral problems rather than any intellectual or cognitive deficits. 89. Dr. Adams reported that Student’s scores on the MMPI-A and Sentence Completion Test were consistent and showed Student was defensive to maintain a façade of control and adequacy; reluctant to discuss his personal problems; and eager to minimize his problems to maintain an appearance of conformity. Dr. Adams’ diagnostic impressions using the DSM-IV includes: Oppositional Defiant Disorder; polysubstance dependence; ADHD; Mood Disorder NOS; parent-child relational problems; impulse control deficits; and a remote history of concussions. 90. Dr. Adams wrote because Student’s behaviors and emotional problems were tumultuous, he was unlikely to change his behavior without structured intervention and Student required placement at Red Rock. Dr. Adams found Student required routine, order, and constant monitoring in a residential program. Dr. Adams also recommended individual, group, and family counseling. Dr. Adams did not observe evidence of psychosis and recommended Student continued on his psychotropic medications. Dr. Adams cautioned that Student appeared to be susceptible to peer group validation and must learn to avoid drugusing friends or associates and circumstances where drugs were present. Dr. Adams concluded that therapeutic counseling was required for Student to work on reactive patterns and impulse control problems. 91. Psychiatrist Edgar Collins worked with Student at Red Rock and did not provide testimony at hearing. He met with Student periodically and prepared an intake report, provisional treatment plan, mental status exam, initial psychiatric evaluation and a progress note. 92. Dr. Collins prepared a March 16, 2010 initial contact report and an April 13, 2010 mental status examination, before he performed his Initial Psychiatric Evaluation. Dr. Collins’ March report was a survey of Student’s substances of abuse and Student confirmed he used marijuana, ecstasy, cocaine, alcohol, Triple C, opioid derivative preparations, and others. Dr. Collins reported Student’s drug of choice was marijuana which he started using at 11, and used on a daily basis. Dr. Collins noted Student’s psychiatrist prescribed Lexapro and Wellbutrin for depression. 93. During Student’s April 13, 2010 mental status examination, Dr. Collins found Student’s presentation as alert, attentive, oriented, and cooperative. He reported Student did not suffer from any severe mental health problems, such as self-harm ideation, manic episodes, thought disorders, obsessions or compulsions, anxiety or panic attacks. Student’s memory was intact and his concentration fair. 94. Dr. Collins’ May 11, 2010 Initial Psychiatric evaluation confirmed Student’s ADHD diagnosis. He also rated Student’s mood on a scale of 1 to 10 as a 7. He diagnosed Student with: 1) Mood Disorder NOS; 2) impulse control disorder by history; 3) ODD; 4) reactive attachment disorder; and 5) polysubstance abuse. Dr. Collins’ recommendation was limited to Student’s medication protocol and he recommended Student continue on Lexapro and Wellbutrin. On June 22, 2010, Dr. Collins added Concerta to Student’s medication regimen for ADHD treatment. 95. Takavar Ghane (Mr. Ghane) was Student’s therapist at Red Rock and provided telephonic testimony at hearing. Mr. Ghane completed his master’s degree from the University of Arizona in mental health counseling in 2000 while working as a staff teacher at Red Rock. Since 2007, he worked at Red Rock as a unit therapist. In order to be certified as a professional counselor, Mr. Ghane was required to perform 4000 hours of therapy as an intern and pass three exams. As an intern, Mr. Ghane provided individual and group therapy, performed assessments, and devised treatment plans. In May 2010, he was supervised by therapist Scott Facell who reviewed and signed Mr. Ghane’s reports. During the summer of 2010, Mr. Ghane completed his 4000 hours, graduated to an associate professional counselor who no longer required a supervisor to approve his reports. Mr. Ghane was a credible witness. Because of his limited experience as a therapist, his opinion was afforded less weight than Dr. Guimoye and Ms. Mostafa who had many years of experience working in the mental health field. 96. At hearing, Mr. Ghane explained the Red Rock program was based on a 1970’s book on positive peer culture (PPC). Through the PPC method students met each day in group to help each other redirect their culture from negative to a positive peer culture. Academics, therapeutic group sessions, and a family group session contributed to creating a PPC. Although Mr. Ghane opined that PPC was research based, Student failed to present any evidence to substantiate the claim. 97. As a unit therapist, Mr. Ghane explained he provided individual, group, and family counseling. As part of a treatment team he attended meetings to review and to discuss a student’s progress and decided if a student was ready to advance to the next program level: home visits and parent visits. A treatment team included student, parents, teachers, a therapist, a group leader, and the residential and clinical directors. The team met monthly to discuss student’s therapeutic and educational progress. 98. Mr. Ghane met Student in March 2010. He opined that Student’s major presenting problem areas were 1) addiction; 2) thinking errors; and 3) low self-esteem. Mr. Ghane observed that Student: 1) denied his problems or blamed others; 2) avoided and refused to take responsibility; and 3) had a tendency to say I cannot do it. Mr. Ghane found Student’s primary issue was substance abuse. Student’s other problems included: 1) seeking attention; 2) seeking acceptance by his peers; 3) exaggerating when telling stories; 4) at times was assaultive; 5) at times was aggressive with students and staff; and 6) suffered from ADHD and oppositional defiance. 99. At hearing Mr. Ghane explained that Student suffered from both ADHD and mood disorder. Student had difficulty at school. Mr. Ghane described Student’s characteristic ADHD behavior as Student acted impulsively; appeared distracted; threw temper tantrums; was unable to stand still; and, jumped from one topic to another. Student also showed symptoms of mood disorder: appearing irritated in group and family therapy and constantly getting into trouble. Mr. Ghane found Student’s barriers to treatment included: difficulty expressing himself; failing to acknowledge his problems; and reluctance to ask for help. 100. Michelle Wong (Ms. Wong) was a resource specialist at Red Rock, who provided telephonic testimony at hearing. From March 2009 through December 9, 2010, Ms. Wong provided Student resource support. Academically, Ms. Wong reported Student was doing well and only utilized the resource room a couple of times a week, primarily for quiet space or when irritated by peers or activities in class. During Student’s first six months at Red Rock, he struggled daily with peers while adjusting to his new environment. Ms. Wong observed Student’s isolation from his peers stemmed from him acting immature, embellishing his stories, fighting, and not relating well to others. By September 2010, Student made progress on his academic goals. 101. John Stokes, who is a teacher at Red Rock, provided telephonic testimony at hearing. In 1999, Mr. Stokes received a bachelor’s of science degree in biology and secondary education. He holds a teaching credential for earth and general science. Mr. Stokes had not taken courses in behavior therapy and substance abuse and had never written a behavior support plan. 102. Mr. Stokes was Student’s general education teacher. When he met Student in March 2010, he observed Student struggled with peers and kept to himself when not picking a fight. Student would say inappropriate things, such as tanks would come and break him out of Red Rock. Mr. Stokes required Student to sit up front so that he would not fight. Academically, Student was a “decent student” and able to complete his homework. At hearing, Mr. Stokes explained he believed Student was at Red Rock because of his substance abuse and social issues that included family and legal problems. His testimony was supported by other Red Rock witnesses who also believed that substance abuse was Student’s primary issue. 103. Mr. Stokes wrote monthly reports and he presented them at the treatment team meetings. The academic reports were detailed progress reports and included a list of desired behaviors and academic accomplishments: shows positive self-image; is considerate of others; is considerate of self; shows appropriate respect for authority; does not mislead or disrupt others; does not aggravate or provoke others; is not easily angered; completes school assignments; performs to appropriate level; positive attitude; responds appropriately to redirection; respects the property of others; respects the property of others; displays honesty and integrity; does not interrupt others; seeks assistance from staff and teachers; seeks assistance from peers; listens and shares with others; uses appropriate language and vocabulary; uses complete sentences; speaks clearly; writes legibly; and participates actively in direct instruction. Student’s individual scores were tallied and then a percentile is calculated in three major categories: 1) learning to care; 2) learning to look for solutions; and 3) learning to communicate appropriately. At hearing, Mr. Stokes explained that he scored students on objective criteria, observing and working with a student, and the PPC manual. No one reviewed or edited the scores. His reports were only a part of Student’s mental health treatment plan and were discussed at treatment team meetings. He did not know if PPC was research based. 104. At hearing, Mr. Stokes explained that every two weeks a Mental Health Treatment Plan was written and Student’s progress was carefully monitored. Members of the team discussed Student’s progress in academics, in therapy, and acclimating to dorm life. Although Mr. Stokes’ testimony was credible, his knowledge of behavior therapy and substance abuse prevention was limited. 105. Student’s first Mental Health Treatment Plan meeting at Red Rock occurred on May 7, 2012. Student’s treatment group included Student, Parents, Mr. Ghane, Mr. Stokes, the clinical director, and at times, Student’s Group Leader Brian King (Mr. King) and the residential director. The Treatment Plan listed Student’s diagnoses as 1) polysubstance dependence; 2) ADHD; and, 3) Mood Disorder NOS. The plan noted Student’s problems: school problems; family problems; legal problems; and, out of home placement. The plan also listed Student’s major presenting problems 1) addiction; 2) thinking errors; and 3) low self-esteem. The plan included four goals to target Student’s problems in the areas of 1) substance dependence; 2) oppositional defiance and authority; 3) parent-child relationship; and 4) attention deficit/hyperactivity/impulsivity. To help Student to achieve his goals, the team focused on identifying triggers that led to his drug problems, defiant behaviors, and anger about his adoption and abandonment. In therapy, Student focused on developing trust in his relationship with Parents, completing his school work, and extinguishing impulsive behavior. It was important to address Student’s lack of focus at school and his impulsive behavior. However, the May Plan failed to include reports that are typically part of a Treatment Plan report, such as a problem solving list and a clinical report which would have provided information about objectively measuring Student’s progress. 106. Student’s August 6, 2010 updated Mental Health Treatment Plan listed Student’s primary areas of concern as addiction, thinking errors and low self-esteem, with the primary diagnosis of polysubstance dependence. Mr. Ghane reported that Student made progress in all goal areas. Regarding individual counseling, Student’s attitude improved, but he needed to continue to work on being easily angered and mislead by peers. In family counseling he made some progress but during session he was easily distracted. In group counseling, Student did not pay attention and needed to be more actively involved. Mr. Ghane’s plan failed to contain a justification for continued placement or a discussion of transition criteria or plans. The August 2010 Treatment Plan did not include an academic report. However, the August plan included a problem solving list pertaining to the residential portion of the program. 107. The Mental Health Treatment Team met on August 11, 2010, three weeks before the September 3, 2010 IEP team meeting to discuss Student’s progress. The plan included four goals to target Student’s problems in the areas: 1) substance dependence; 2) oppositional defiance and authority; 3) parent-child relationship; and, 4) attention deficit/hyperactivity/impulsivity. The team reported Student made some progress on the substance abuse goal, but failed to meet the objective of honestly acknowledging his destructive pattern of substance abuse as measured by writing a goodbye letter to substance abuse. Mr. King shared that Student made progress and resolved the objective of improving compliance with program rules. Student made some progress on improving his relationship with his parents but continued to work on trust and sharing information and completing all family assignments. Regarding Student’s attention and concentration related to ADHD, Student resolved the issues of taking his medication and educating Student and Parents about ADHD and dealing with the symptoms. 108. At hearing, Mr. Ghane, Mr. Stokes, and Ms. Wong testified that in their opinions, Student was not ready to return to the community in early September 2010. Student was making progress on his goals but failed to meet his goals. Although Student’s work was more consistent and his behavior improved, he continued to have trouble with thinking errors, asking for help, anger, and talking to peers. If irritated, Student’s behavior would be extreme, become sarcastic, and he answered questions with questions. He would blame others for problems. In his residential unit, Student continued to have problem with peers, and talked about drug related issues. He made progress on his behavior with staff. Mr. Ghane opined Student used drugs to self-medicate and when he used drugs he was out of control. As of August 2010, Student was still unable to identify with a peer group to help him to be successful. 109. At hearing, Mr. Ghane explained that the program was generally nine months but if after three to four months a student was doing well in the program the student could graduate in six months. To complete the program and graduate a student was required to achieve a score of 80 percent in all areas, which included drug abuse; individual, group, and peer counseling; performance on unit and in PPC; and participate in several home visits. As of September 2010, Student was not at 80 percent to transition home. 110. During transition, students worked on an after care plan. Students return to the community and discuss rules and expectations parent set for the home environment, and continue with counseling. Students participate in at least three home visits. Mr. Ghane opined the visits help students transition to home and earlier release creates problems. He explained after the visits, the treatment team meets to discuss how well the home transition plan rules worked, and to discuss any triggers and issues at home. Student and parents work on relationship at home. In Mr. Ghane’s opinion, with a good transition plan, regression is unlikely. 112. In August 2010, Mr. Stokes found Student’s work was more consistent and his behavior improved. Student was not required to sit upfront. Student’s academics improved, but he continued to struggle in personal relationships. Mr. Stokes opined that Student’s score of 63 percent on Red Rock’s scale was not high enough to transition to home. Mr. Stokes identified Student’s functional communication and leadership as areas of weakness. To him, Student’s adaptive skills were below average, including some skill deficits being noted in the areas of adaptability, social skills, and study skills, and in September 2010, he did not believe Student was ready to return to his community. 113. At hearing, Ms. Wong opined that Student was not ready to return to the community in early September 2010. At that time, she also observed Student’s behavior improved and he made progress in his relationships with his peers. However, Student was only successful 54 percent of the time on Goal One, where he was to take responsibility for his actions and not threaten or lash out. He would sit down with books and not work. In September he was getting better and she continued to work on strategies to deal with his behavior. 114. At hearing, Ms. Wong explained that after Student’s September 3, 2010 IEP, discussed below, Student was not required to attend resource classes. In September 2010, Student was not ready to transition to regular class. His off task behavior continued to require special education services. In her experience with other special education students with substance abuse problems, Student would require special education with or without his substance abuse. She believed that as of September 2010 Student would not succeed in the community because of his limited coping skills and anger. 115. On June 25, 2010, Student was again assessed by Dr. Guimoye. Because this was her third level of care assessment, she was very familiar with Student. In 2004 and 2010, CMH recommended the blended program to address his symptoms of social anxiety, oppositional and defiant behaviors, and relational issues at school and at home. She performed a thorough exam of Student and based her assessment on interviews with Student, Ms. Mostafa, and Mr. Ghane; consultation with Ms. Mates; and review of IEP documents and CMH documents. 1116. When she met with Student at Red Rock, she performed a Mental Status Exam (MSE). She observed Student was oriented to time, place, and situation; he was clean and sober; his affect was normal; he offered shallow emotional responses; and his thought process was linear. He was still challenged by reality distortion, poor short term memory, anxiety, and stomach aches when anxious. He denied psychotic processes or current suicidal-homicidal ideation. 117. A review of the psychoeducational assessment by Ms. Mostafa suggested a presence of anxiety and coping deficits but unlike prior assessments there was no evidence of depression. Dr. Guimoye found this particularly significant because the test was administered during a time when Student was not under the influence of mind-altering street drugs. Student also presented with a low tolerance for frustration and impulse outbursts and he was vulnerable and anxious in social situations where his impulsivity and poor social skills provoked his peers to ignore and reject him. 118. In a report from Mr. Ghane, Student was showing a decrease in symptoms of depression and anxiety. He was opening up in therapy, was engaged, and completed and turned in his assignments. He continued to glorify street drugs and street drug usage, but was responding well to psychotropic drugs. 119. Dr. Guimoye credibly testified to her opinion that as of September of 2010, Student’s current symptoms were anxiety, impulsivity, and difficulty in social settings but that his primary issue related to chemical dependency and polysubstance abuse. At the time, she recommended placement in the blended program at Redwood with individual therapy, group therapy and family collateral therapy. The blended class offered a structured supportive setting; a therapeutic environment; higher student to teacher ratio with special education teacher and instructional coach; and onsite mental health practitioner to provide therapy. Because of Dr. Guimoye’s education and experience and confident demeanor when she testified, she was a persuasive witness. 120. Ms. Mostafa traveled to Red Rock to assess Student’s progress and current levels of social-emotional functioning after he had been there approximately six months. She assessed Student over a two day period in mid-August at Red Rock. Ms. Mostafa was not able to observe Student in his classroom. 121. Ms. Mostafa used a wide variety of measures during her assessment of Student. She reviewed Student’s records at Red Rock. She observed Student; consulted with Red Rock staff, Marin CMH staff, and Parents; and reviewed Student’s file. Ms. Mostafa administered the following tests 1) Conners Rating Scales, Third Edition (Conners 3); 2) Behavioral Assessment System for Children, Second Edition (BASC 2); 3) Substance Abuse Subtle Screening Inventory-Adolescent Version (SASSI); 4) Adolescent Apperception Cards; and, 5) Rorschach Inkblot Test –Exner Scoring. During these assessments, Ms. Mostafa observed as in the past that Student was cooperative and pleasant to work with, easy to engage in conversation, and upfront in his responses. In contrast to her prior observations, she found Student was more engaged and interested in the assessment process and findings, and appeared more relaxed and at ease with himself. Student reported that he was conscientious in following the facility rules. 122. Ms. Mostafa reported that previous cognitive assessments suggested Student’s cognitive abilities were overall average, except in the area of attention processing, exhibiting difficulties with attention, concentration, impulse control, and low frustration tolerance. Ms. Mostafa administered the Conners 3 to assess Student’s current behaviors related to attention and learning problems due to ADHD. Ms. Mostafa provided the Conners 3 scales to Mr. Stokes and Student. On the teacher rating scale, Stokes endorsed statements suggestive of clinically significant problems with Inattention, Hyperactivity/Impulsivity, Learning Problems/Executive Functioning, and Peer Relations and Aggression. 123. In August Student completed the scale, and Mostafa found Student responses were all in the average range, indicating that he was not bothered by significant symptoms of ADHD. She hypothesized that the discrepancy in Stokes and Student’s scores was due to his new medication, Concerta. However, in conversation, Student acknowledged struggling with inattention and impulsivity. 125. In order to evaluate Student’s alcohol and other drug use, Ms. Mostafa again administered the SASSI-A2, and Student was instructed to base his response on the past six months. Because Student scores were only elevated to the clinically significant range on one of the eight subtle symptom scales, Ms. Mostafa found his current responses to suggest a low probability of a substance abuse or substance dependence disorder. Student continued to score in the clinically significant range in family and friends risk, indicating that he was part of a social system that enabled his drug use and viewed his drug problems as trivial. However, Ms. Mostafa found that Student’s scores indicated that he had made progress in his recovery with respect to a decrease in defensiveness and an increase in accepting responsibility for his choices and a willingness to be honest. Consistent with his prior results, Student’s substance abuse pattern did not appear to be that of a person who is selfmedicating. Similarly, Student scored in the clinically significant range on a symptoms scale demonstrating Student’s unwillingness to admit to his loss of control and the negative effects of drug use. 126. Ms. Mostafa concluded that Student would succeed in changing his behaviors and sustaining recovery and sobriety in his community with adequate family and social support. As part of his transition back to the community, Student would need to actively participate in a substance abuse treatment and recovery program. At hearing, Ms. Mostafa emphasized Student’s return to his community was pivotal to his recovery and a long term solution. Student’s clinically significant family-friends risk, suggested that his social system enabled his drug abuse, and he believed his drug use was insignificant or inevitable. Thus, Ms. Mostafa opined Student’s sobriety and recovery could be successful, with adequate social support within his community to address the family-friends risk as it occurred. 127. Ms. Mostafa also administered the BASC 2 and instructed Student to use the past six months as his reference point. Student’s self-report continued to suggest that Student had typical functioning or even experienced fewer problems than others his age. Ms. Mostafa found that consistent with Student’s denial of troubling thoughts, feelings or behaviors, he reported that he was average to above average on adaptive skills and personal adjustment. Student also reported that he had strong interpersonal relationships and solid feelings of self-esteem and feelings of self-worth. Slightly improved, Student scored near average with respect to his relationship with his Parents. Thus, she concluded from Student’s perspective, progress was being made, yet it was still not within the realm of what would be considered typical for an adolescent male. 128. Ms. Mostafa administered two projective measures: the Adolescent Apperception Cards and the Rorschach Inkblot Test. On the AAC, Student was presented with picture stimulus cards and asked to tell a story with beginning, middle and an ending and to explain what was happening in each scene including attributing thoughts and feelings to characters. Student performed well on this assessment: he followed directions; adhered to the intended themes in pictures; attributed appropriate emotional response to characters; and resolved stories in a logical, realistic, and positive manner. Although recurrent themes involved worried parents and confused teens, Student’s stories resolved positively with individuals learning to work through differences or succeeding. 129. In order to gather current information about Student’s personality, emotional processing and interpersonal functioning, Ms. Mostafa again administered the Rorschach. In comparing his prior results, Student continued to score in the clinically significant range on the Coping Deficit Index, but the Depression Index was no longer flagged. Because during Student’s six months at Red Rock, Student was sober, Ms. Mostafa asserted these Rorschach results were likely the best representation of Student’s actual personality construct. It was unlikely that Student was clinically depressed. 130. Ms. Mostafa found Student was in “a chronic state of stimulus overload and difficulty coping with demands… making him at risk for recurrent episodes of anxiety, tension, nervousness and irritability.” Student’s Rorschach indicated Student showed: limited frustration tolerance impulsive outbursts; disorganization related to stimulus overload; low self-esteem and confidence; a general disposition to negativity; and underlying feelings of anger or resentment. She concluded Student would benefit from treatment focused on improving his coping skills and finding effective strategies for stress management. 131. Student’s tendency toward low self-esteem was observable in his peer interaction and drove his need to gain status among his peers, even at the detriment to his own well-being. Student’s self-image was still fragile; Ms. Mostafa reported making it difficult for him to examine himself and his actions. Student continued to feel most comfortable in clearly defined and well-structure situations. Student’s responses continued to evidence a lack of introspection and self-awareness resulting in difficulty to modify his behavior. 132. Student’s Rorschach results continued to include strength in his reality testing abilities demonstrated a general ability to form accurate impressions and to interpret the actions and intentions of others; and that he was capable of anticipating consequences of his actions and recognizing appropriate behavior. The test results indicated no evidence of a thought disorder. Rather, he was able to think logically and coherently. 133. As a part of her gathering information for her report, Ms. Mostafa interviewed Parents. She reported Parents saw some progress in Student’s functioning. They observed Student was engaging in more self-reflection; was willing to accept responsibility for his actions; and was making academic progress. 134. Ms. Mostafa’s report was thorough and she also reviewed documents from Red Rock and interviewed Student’s teachers, therapist, and group leader. Ms. Mostafa reviewed all assessment complete by Red Rock staff including 1) Psychiatrist Edgar Collins March 16, 2010, April 16, 2010, May 11, 2010 reports and the June 22, 2010 note; 2) May 7, 2010 Mental Health Treatment Plan prepared by Takavar Ghane; and 3) August 2010 updated Mental Health Treatment Plan prepared by Mr. Ghane. Ms. Mostafa discussed Student with Mr. Ghane by phone and in person. Ms. Mostafa also discussed Student with Group Leader Mr. King. He described Student as not well accepted by his peers and that Student tended to stay on the periphery or bond with individuals who are engaged in negative behavior. 135. Academically, Resource Specialist Michelle Wong reported Student was doing well and only utilized the resource room a couple of times a week, primarily for quiet space or when irritated by peers or activities in class. On June 29, 2010, Ms. Mostafa requested Ms. Wong and Mr. Stokes complete the BASC-2 teacher report form. Both raters were consistent and reported Student’s major difficulty was on the externalizing problems composite. Both observed Student to act-out and presented clinically significant hyperactive, aggressive, and conduct problems. The subscales of depression and withdrawal were elevated and both teachers observed clinically significant attention problems. Student’s adaptive skills were below average, including some skill deficits being noted in the areas of adaptability, social skills, and study skills. Mr. Stokes identified Student’s functional communication and leadership as areas of weakness. 136. On August 13, 2010, Ms. Mostafa met with Mr. Stokes at Red Rock to discuss Student. Mr. Stokes reported that recently Student improved in work completion and classroom behavior, and most of the time worked throughout the academic day. Mr. Stokes shared that Student’s behavior was a new event and it remained to be seen if Student would be able to maintain it for an extended period of time. Ms. Mostafa requested to observe Student in class, but was unable to for reasons not explained at hearing. 137. In summary, Ms. Mostafa reported that as of September of 2010, Student’s behavior and productivity had improved with sobriety. She found Student presented as more engaged and interested in matters affecting him; motivated in completing schoolwork; and invested in making healthy decisions. He made progress with respect to engagement in therapy; compliance and school work production; ability to be honest; and accepting responsibility for his behaviors. However, she cautioned that Student continued to struggle with low self-esteem; being influenced by others; and oppositional behaviors. Ms. Mostafa concluded Student’s commitment to sobriety and remain drug free is more tenuous and required support from his family and community upon his return to the community. She did not make a specific placement recommendation, and deferred the decision to the IEP team. 138. At hearing, Ms. Mostafa emphasized that Student’s primary problem was substance abuse. She opined when she analyzed Mr. Charles’ and Dr. Pollack’s reports, they also concluded that Student’s biggest challenge was substance abuse. Based on her assessments, review of Student’s expert assessments, interviews with Student and his admission that he used drugs for “fun,” she concluded that Student was not self-medicating. Her testimony was persuasive. 139. On September 3, 2010, District convened an IEP team meeting to review Ms. Mostafa’s updated psychoeducational report, to review Dr. Guimoye’s CMH report, and determine appropriate placement for the 2010-2011 school year. The attendees included Parents, Ms. Mates, Ms. Hall, General Education Teacher Ms. Hart, and Dr. Guimoye. Red Rock participants included Administrator Ms. Hentz, Ms. Wong, Mr. Stokes, and Mr. Ghane, who participated by telephone. 140. Mr. Stokes and Ms. Wong reported on Student’s academic progress. Mr. Stokes shared that Student was more focused on his schoolwork and his classroom behavior was not inappropriate or distracting. Ms. Wong reviewed Student’s previous goals and the team discussed proposed current goals. The IEP team noted that Red Rock had not worked on Student’s transition plan. Mr. Ghane reported he saw Student for 45-minutes a week of individual and family therapy and 15-minutes of group. Mr. Ghane reported that Student was attending Narcotics Anonymous meetings, taking his medication, and in therapy was working on the areas of substance abuse, oppositional defiance, family issues, and ADHD. He shared that Student was not presenting with any somatic symptoms. Red Rock agreed to amend and send District a revised behavior plan. 141. The IEP team developed goals based on Ms. Mostafa’s assessment and input from Student’s Red Rock teachers, therapist, and administrator. In determining the student behavioral issues, all members of the IEP team adopted goals and objectives in the areas of: 1) following directions in the classroom; 2) sustaining focus in the classroom; 3) editing and revising written work; and 4) working on his transition plan by researching training and education requirements for programs in his areas of interest. District addressed Student’s transition plan and increased mental health services through the blended program services and Student’s inability to attend school was no longer an area of need. 142. Both Ms. Mostafa and Dr. Guimoye presented their findings to the IEP team. Student joined the meeting and confirmed the transition goals he discussed with Ms. Mostafa. Dr. Guimoye reported that Student had some anxiety and no depression. He continued to struggle with substance abuse issues. 143. The District members of the IEP team recommended and offered placement in the blended program at Redwood. The District members of the team based the recommendation on Student’s prior success in a blended program at Hall and that Student’s current interest in achieving academically made him a good fit for this placement. The District members of the team also concluded that the blended program was the least restrictive environment and he would spend 35 percent of his time in general education. In addition to the blended program placement at Redwood, Student was offered 1) 50-minutes per week of individual therapy; 2) 50-minutes per week of group therapy; 3) 50-minutes per week of family therapy; 4) medication management arranged through CMH; 5) a behavior support plan; and, 6) post-secondary transition services. This offer increased Student’s therapy from its the February 23, 2010 IEP offer of 50-minutes a week of individual as needed to 50-minutes; 50-minutes a week of family therapy as needed to 50-minutes a week; and no group therapy to 50-minutes of group therapy a week. Student’s general education classes would be provided in the blended SDC, and electives would be provided in the general education setting. In addition to the school-based services, CMH also offered a referral to the CFRP. CFRP would provide therapeutic behavioral support, mentors, family partners, tutors, and support in the home and other support as needed. At the September 3, 2010 IEP meeting, District offered more behavior support to Student. 144. At hearing, Dr. Guimoye opined that District’s offer of family counseling and the CFRP would help Student and Parent to work closely together to give Student the support he needed to be successful in the community. A therapist and a mentor would be provided to Student to address Student’s low self-esteem and help Student keep his commitment to sobriety. At hearing, Ms. Mostafa and Ms. Guimoye described the blended program as designed to transition Student from a more restrictive RTC setting to an SDC. They opined that the blended program at Redwood would meet Student’s unique needs in a less restrictive setting and provide maximum support throughout the school day. Specifically, the small Redwood campus and class would facilitate close monitoring of Student to address Parent’s concerns about elopement and access to drugs. The classes at Redwood were more academically challenging to compliment Student’s academic progress at Red Rock. 145. Student contended that he needed to stay at Red Rock and complete the Red Rock program including the family visits and gradual transition back to the community. At hearing, Ms. Mostafa opined that in her experience with RTC’s, the ceremony of attending graduation was not important to a student’s transition back into the community. The blended program at Redwood provided the type of support Student required for his transition home. Because of her experience and knowledge Ms. Mostafa’s opinion was persuasive. 146. At the IEP team meeting, Parents voiced their concern that Student would continue to use drugs upon returning home from Red Rock. Parents did not consent to the September 3, 2010 IEP and subsequently parentally placed Student at Red Rock. 147. On September 22, 2010, Student’s Red Rock treatment team met to discuss Student’s September 17, 2010 treatment plan and his progress. At this meeting the team included Student, Mr. Ghane, the clinical director, Mr. Stokes and Mr. King. Student made some progress on his goals to 1) develop more understanding of pattern of relapse and reestablish relationships; 2) reduce frequency of hostile and defiant relationships; 3) improve parent/child relationship; and 4) sustain attention. Mr. Stokes shared that Student made great progress in his school work by finishing his original courses assigned at Red Rock. Academically, Student completed World History; Earth Science Part I; English Part I; Algebra Part I; and 7 Habits for Highly Effective Teens. Student was working on and progressing on his new classes. Student also attended his IEP team meetings more often. The Treatment Team agreed that because Student complied with his medication regimen his ability to attend improved and he was able to complete more academic assignments. By September 17, 2010, Student made good progress and his behaviors and school work improved. 148. The September 17, 2010 treatment plan report indicated that Student was at 61 percent in performance on Red Rock’s individual, family and group counseling scale. He progressed in group therapy and when he participated in group his comments were positive. It was also reported that Student progressed and scored 58 percent towards reaching his goals in substance abuse, oppositional defiance, parent–child relationships and ADHD. 149. The September treatment plan failed to include any criteria or justification for the length of Student’s stay at Red Rock and counseling goals related to education. No behavioral incidents were cited in the residential, clinical or educational reports contained in the plan. 150. On July 21, 2011, Student graduated from Red Rock. He should have been able to leave in May, but had been placed on probation for covering for another Student. Staff reported Student worked through his anger and substance dependency issues and had three successful home visits. Student made progress in motor activity, talking about his feelings, communicating with his parents and peers, advocating for him-self, accepting responsibility, thinking errors, acting out and temper, and following rules and directions. Red Rock staff recommended Student continue with individual and family therapy, attend Narcotics Anonymous meetings (NA) to maintain sobriety, find a job or activity so he was not isolated and be placed in a small school setting to eliminate some distractions for him. 151. Dr. Pollack reviewed Student’s AB 3632 Assessment, dated September 1, 2010 and conducted by Dr. Guimoye, Ms. Mostafa’s September 3, 2010 psychoeducational report, and Red Rock progress notes and test results. Dr. Pollack found there was ample evidence from early elementary school years of affective regulation to warrant a diagnosis of Mood Disorder, NOS for which his current medication strategy appeared to be appropriate. He reported that Student’s August 10, 2010 Rorschach suggested some improvement in depression indicators but there was ample evidence of ongoing distress. 153. Dr. Saul Rosenberg (Dr. Rosenberg), who performed an independent evaluation of Student, testified at hearing. Dr. Rosenberg received his bachelor’s degree in psychology in 1968 from State University of New York at Buffalo, and received his master’s degree in psychology in 1971 from Queens College, City University of New York. In 1975, Dr. Rosenberg received his doctorate in clinical psychology from Bowling Green State University, in Ohio. Thereafter, he completed his post-doctoral fellowship in clinical psychology and psychotherapy research at University of California San Francisco (UCSF) in 1978, and his Certificate in Psychoanalysis from the San Francisco Psychoanalytic Institute in 1999. He is a licensed psychologist since 1978 and since 1985 a published psychologist in the areas of psychodynamic formulation and posttraumatic stress disorder (PTSD), and since 1991 lectured in the areas of evidence-based diagnosis and treatment for adolescents exposed to trauma and on PSTD and traumatic brain injury (TBI). From 1979 to 1989, Dr. Rosenberg served as staff psychologist and director of the alcohol and drug abuse program in the department of psychiatry at Kaiser Permanente Medical Center, San Francisco. From 1991 to present, he served as an associate clinical professor and associate research psychologist, at the department of psychiatry in the school of medicine at UCSF. He taught evidence based behavioral medicine to medical students, child and adult psychiatry fellows, and postdoctoral psychology fellows. 154. From 1976 to present, Dr. Rosenberg performed thousands of psychological assessments and completed hundreds of dual diagnosis assessments. From 1983 to present he provided evidence-based forensic psychological assessments and offered opinions regarding the onset, causation, severity, course and prognosis of psychological functional impairments. Dr. Rosenberg had testified as an expert in State and Federal courts and provided testimony regarding the assessment and treatment of dual diagnosis, particularly on the relationship of TBI and PTSD. In addition, he consulted, published and testified before the U.S. House Veteran’s Affairs Committee on dual diagnoses, and the relationship of PTSD and TBI. 155. Dr. Rosenberg first met parents at an elementary school open house when Student attended the same elementary school as Dr. Rosenberg’s son. When parents asked Dr. Rosenberg for advice, he referred the family to pediatric neurologist Sarah Hall, Ph. D., and child psychiatrist Dr. Paul Gilbert. Near the time of hearing, Dr. Rosenberg provided pro bono consulting services to Father’s non-profit Veteran’s Organization to help fund raise and to provide resources. 156. After Student returned from Red Rock in July 2011, Parents asked Dr. Rosenberg to perform a psychological evaluation. Doctor Rosenberg was to opine on whether Red Rock was the least restrictive environment for Student based on the September 2010 evidence available to District. Dr. Rosenberg prepared a written report dated October 27, 2011. 157. In preparation for writing his report, Dr. Rosenberg interviewed Student in his office for two hours. He observed at times Student lost focus, was anxious, and avoidant. He opined Student appeared much less rebellious when he returned from Red Rock. There was no evidence that Dr. Rosenberg observed or talked to Student while he was enrolled in District placements prior to Red Rock. 158. Dr. Rosenberg did not use a wide variety of measures during his assessment of Student, which consisted solely of the two hour meeting and record review. He reviewed some of Student’s records, including Dr. Hall’s 2001 report; Dr. Pollack’s report; an October 8, 2003 AB 3632 assessment by Elaine McMahon; Dr. Gilbert’s January 24, 2005 mental status letter; a January 29, 2007 Jennifer Boyd report; a February 8, 2007 AB 3632 assessment prepared by Kevin Charles; January 20, 2008 IEP annual goals report; February 24, 2009 manifestation determination report; a July 15, 2009 AB 3632 assessment; an August 31, 2009 AB 3632 update; a November 2009 psychoeducational evaluation conducted by Amira Mostafa; Dr. Pollack’s test results and recommendations; Dr. Pollack’s November 5, 2010 psychological evaluation; Mr. Ghane’s October 28, 2010 report; and a July 21, 2011 Red Rock discharge summary. He met and interviewed Parents and Dr. Gilbert. The only test he personally administered to Student was the Block Design test in September 2011. Dr. Rosenberg never observed Student in an academic setting, interviewed Student’s teachers at Red Rock or District. Dr. Rosenberg did not observe Student at Red Rock at any time. 159. On October 19, 2011, Dr. Rosenberg met for one hour with Dr. Gilbert who met Student when he was in first grade and Student was his patient for a number of years. Dr. Gilbert’s diagnostic impression was Student suffered from ADHD with impulsivity and co-morbid mood and anxiety disorders, resulting in Student’s difficulty with emotional and behavioral self-regulation. Dr. Gilbert hypothesized that Student’s behavior was related to Student’s significant traumatic brain injury when he was three. In 2011, Dr. Gilbert reevaluated Student and noted that his treatment at Red Rock, including his recent ability to tolerate Concerta, a stimulant medication appeared to have helped Student significantly. Dr. Gilbert shared that although Student’s aggressive behavior significantly improved, Student’s behavioral impulsivity was still a problem. Dr. Gilbert expressed to Dr. Rosenberg that he strongly disagreed with the District’s IEP offer in September 2010. Dr. Gilbert believed District did not have sufficient information to diagnose Student at a distance and a psychoeducational evaluation was not a substitute for a psychiatric evaluation. Dr. Gilbert opined that Student self-medicated with alcohol and drugs because his ADHD was not under control. 161. Dr. Rosenberg opined if Student had left Red Rock in September of 2010 after only six months, it would have been highly unlikely he would have made even “minimal educational progress.” Dr. Rosenberg based this conclusion on: 1) Student told him if he had left after only six months he would have been the same or worse than he was before he entered Red Rock; and 2) Dr. Gilbert, Dr. Pollack, and Red Rock professional staff agreed that after only six months Student would not have been successful in the community. 162. Finally, Dr. Rosenberg concluded the six months Student spent at Red Rock until he graduated from the program was essential and “enabled significant academic and social progress.” He based his conclusion on 1) anything short of full treatment jeopardized Student’s opportunity to receive the appropriate education; and 2) in his view, only a completely restrictive setting with no access to drugs, 24/7 supervision, psychiatric treatment, group counseling and a structured social environment culminating in three successful home visit would have enabled Student’s successful return to the community. 163. At hearing, Dr. Rosenberg asserted that he disagreed with Ms. Mostafa’s conclusion in the September 2010 psychoeducational report that all of Student’s recent problems were drug related and not related to his emotional problems. 164. Dr. Rosenberg’s testimony was informative about dual diagnosis. However, his forensic recommendation that the least restrictive placement for Student to make progress as of September of 2010 was in a locked, residential facility in Utah was not persuasive. Dr. Rosenberg was not qualified to render an expert opinion on Student’s appropriate placement in the least restrictive environment. First, Rosenberg’s knowledge of special education law and terminology was minimal. He was not able to answer questions about: the criteria for the other health impaired and emotional disturbance eligibilities; if substance abuse treatment was an appropriate related service under the IDEA; and the legal criteria for when a District should consider a RTC placement. In his report and testimony, he used incorrect nomenclature: “make minimal educational progress in a less than a highly restrictive residential setting” and “enabled significant academic and social progress.” Succinctly put, Dr. Rosenberg never studied special education law, never worked with special education students in a class, never attended an IEP team meeting, and never visited different types of educational placements on the continuum of placement options. He was not highly qualified as an expert in special education and although his testimony was informative about comorbidity, it was not informative as to the reasonableness of District’s placement offer in September of 2010. 165. Moreover, Dr. Rosenberg’s opinion was not based on any personal knowledge of Red Rock, or even interviews with staff. Instead, it appeared his recommendation was based mainly on the fact that Red Rock was locked. Finally, Dr. Rosenberg’s opinion was rendered more than one year after the September 3, 2010 IEP, such that it was never shared with District at the time of the decision, and there was no showing that he could render an expert forensic opinion on educational placement. 166. In her testimony, Mother identified invoices and payment records of expenses related to Student’s placement at Red Rock. Parents requested reimbursement for placement at Red Rock from September 2010 through July 21, 2011 for a total of $128,415.00, plus $3,321.66 for transportation to and from Red Rock. 1. Student contends that District denied Student a FAPE by failing to offer Student an appropriate placement and services to meet Student’s unique needs in the September 3, 2010 IEP. Specifically, Student contends District should have offered Student a residential treatment center (RTC) placement that was a locked facility with 24-hour intensive behavioral services, group supervision, and a resource specialist program. Student asserts that he required a higher level of care at an RTC because of his emotional problems related to ED. He disagrees with District’s contention that Student’s placement at an RTC was not related to Student’s special education needs. Student argues that he required continued placement at the Red Rock to complete the program and to transition back to home and the community. Student also asserts that the District’s offer of the blended program at Redwood was inappropriate because Student failed to make progress on his goals when he attended the blended program at Hall and Tam. Student also contends that District’s offer at the September 3, 2010 IEP failed to include: strategies or goals to address Student’s inability to attend school; a transition plan to successfully return to District’s program; and increased mental health services to help transition. 2. District disagrees and contends that it provided Student with a FAPE at the September 3, 2010 IEP. District asserts that the blended program at Redwood was an appropriate placement to meet Student’s needs in the least restrictive environment. District further contends that Parents privately placed Student at the RTC for mental health and substance abuse treatment and it was not related to Student’s special education. District asserts its payment for Student’s first six months at Red Rock pursuant to a mediation agreement was not an admission that Student’s placement was necessary to provide a FAPE. Finally, District disagrees and contends that Student’s 2010 IEP comports with the procedural guidelines required under the IDEA. 15. Student failed to establish by a preponderance of the evidence that District denied him a FAPE by offering the placement and services detailed in the September 3, 2010 IEP offer, rather than continuing the Red Rock placement or offering him one exactly like it. 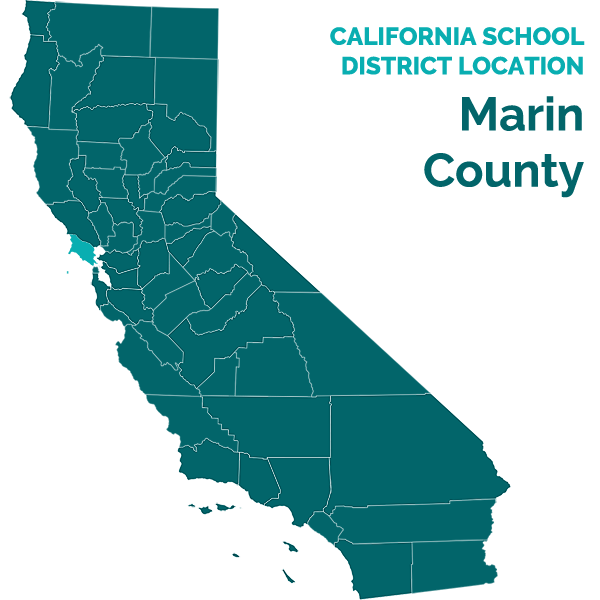 Instead, the evidence showed that District’s placement offer of the blended program at Redwood was an appropriate placement reasonably calculated to provide Student with some educational benefit in the least restrictive environment. 16. First, the evidence established, at the time of the September 3, 2010 IEP that Student was not a candidate for a full-time general education program. Overall, a determination of whether a district has placed a pupil in the least restrictive environment involves the analysis of four factors: (1) the educational benefits to the child of placement full time in a regular class; (2) the non-academic benefits to the child of such placement; (3) the effect the disabled child will have on the teacher and children in the regular class; and (4) the costs of mainstreaming the child. (See Rachel H., supra, 14 F.3d at p. 1404.) The evidence clearly established through the IEP notes that Student required specialized teaching methods and small group instruction to address his behavioral and academic needs, such that general education was not an appropriate placement. 17. The evidence further showed that, given the continuum of placement options, and the expressed preference of the IDEA that children be educated in the least restrictive environment, the blended program at Redwood with exposure to typical peers was an appropriate placement. At the time of the September 3, 2010, Student had been in the RTC program for approximately six months. According to the testimony of the Ms. Boyd and Ms. Hall, teachers from blended programs, the blended classroom with close access to a therapist and behaviorist was designed to provide Student with maximum behavioral and academic support throughout the school day like that he had been receiving at Red Rock. Ms. Hall explained Student may remain in her class for the entire day and if required have access to the therapist to assist with emotional and/or behavioral issues. Student also had the opportunity to attend general education elective classes with his typical peers, for up to 35 percent of his day. The small Redwood campus and class would facilitate close monitoring of Student to address Parent’s concerns about elopement and access to drugs. The classes at Redwood were more academically challenging to compliment Student’s academic progress at Red Rock. Thus, District’s offer of the blended program at Redwood was designed to meet Student’s unique behavioral and academic needs. 18. Student argues that the blended class at Redwood was not an appropriate placement because Student failed to make progress while in blended programs at Hall and Tam. The evidence showed that Student made some progress towards his IEP goals in the seventh and part of the eighth grade in the blended program at Hall. Student’s teacher Ms. Boyd testified Student attended four general education classes in seventh grade and generally performed well. However, the evidence showed in the spring of 2009 Student became involved with drugs, Student’s behavior began to decline and Student spent more time in the SDC classroom. In addition, Student attended Hall until June 2009, more than one year before the September 3, 2010 IEP. In September 2010, Student was a different student. The uncontroverted evidence showed that Student succeeded in improving his school behavior when attending Alta Loma at juvenile hall and at Red Rock and when Student succeeded at school his behavior improved. Student’s argument was not persuasive because Student’s lack of progress in the past was not dispositive of whether the program met his needs as of the time the IEP was drafted. 19. Student also argues that because he was not successful at the blended program at Tam during the 2009-2010 school year, he would not be successful at Redwood. There is no dispute that Student only attended the blended program at Tam for one full day and eight partial days because Student was: suspended for possession of marijuana off campus; in and out of drug treatment programs; and in and out of juvenile hall. To gauge Student’s success in a program on one day of full attendance is speculative. The evidence does not support Student’s argument that the District’s blended program was not educationally appropriate. Like the discussion of the Hall blended program, above, Student’s performance in the past was not particularly relevant to making a determination about his needs in September of 2010. 20. Student argues that placement at the RTC, Red Rock was primarily to aid Student to benefit from his education. Student argues that he required a highly structured locked residential program to make educational progress as demonstrated by the educational progress he made at juvenile hall and Red Rock. Student asserts that as a special education student with an eligibility of ED, because of depression, mood disorder, oppositional defiant disorder and ADHD, his drug use was for self-medicating as supported by Dr. Pollack’s and Dr. Rosenberg’s psychological evaluations. Student argues that Dr. Pollack’s assessments and reports made it clear that Student required a higher level of care and a placement at a RTC. In part, Dr. Pollack based his opinion on Dr. Hall and Dr. Gilbert’s assessments and reports. Dr. Pollack, Dr. Hall, and Dr. Gilbert were not witnesses at hearing; the only evidence of their opinions is the hearsay in their reports. Student’s argument was not persuasive. 21. Student also argues that Dr. Rosenberg’s report and testimony support a theory of dual diagnosis, co-morbidity between mental health disorders, substance abuse and traumatic brain injury. Student failed to produce any evidence that when he fell at threeyears-old, suffered a concussion and a left frontal hematoma that the fall resulted in a traumatic brain injury. Dr. Pollack, Dr. Hall, Dr. Gilbert and Dr. Rosenberg referenced Student’s fall in their reports but failed to present evidence demonstrating a relationship between the fall and Student’s ADHD, emotional and behavioral problems. Student’s argument was not persuasive. 22. Dr. Rosenberg’s testimony was informative about dual diagnosis and traumatic brain injury. However, his recommendation that the least restrictive placement for Student to make progress was in a locked, residential facility in Utah was not persuasive. Dr. Rosenberg was not qualified to render an expert opinion on Student’s appropriate placement in the least restrictive environment. First, the evidence showed that Dr. Rosenberg’s never studied special education and he was not familiar with the continuum of placement options. Second, Dr. Rosenberg’s opinion was not based on any personal knowledge of Red Rock, or interviews with staff, and it appeared his recommendation was based mainly on the fact that Red Rock was locked. Finally, Dr. Rosenberg’s opinion was rendered more than one year after the September 3, 2010 IEP, and was never shared with District at the time of the decision. Dr. Rosenberg was simply not qualified to render a persuasive opinion on the appropriateness of the District’s September 3, 2010 IEP placement offer, and even if he was, his opinion was not known to the District until hearing. 23. In contrast, because of her education, experience, familiarity with the blended program and the continuum of placement options, Dr. Guimoye’s opinion that the District’s offer was an appropriate placement for Student was persuasive. Her experience for more than twenty years included: evaluating hundreds of students for RTC placement; visiting and placing students at RTC’s in many states; conducting level of care assessments; and analyzing criterion for AB 3632 placement. Likewise, Dr. Guimoye’s opinion that an RTC like Red Rock was too restrictive for Student was persuasive. She recommended residential placement about 50 to 60 percent of the time because a locked residential placement was reserved for students with severe emotional impairment to protect them from themselves and others. She explained she worked on a study that concluded placing students with behavior and drug addiction problems was most effective in the community. Given Student’s needs and the IDEA mandate for the least restrictive environment, her thoughtful, knowledgeable testimony was persuasive. 25. Student was not entitled to reimbursement for Student’s placement at Red Rock because none of the tests apply for Student to be placed residentially at District expense. First, there was no evidence that a residential placement was primarily to aid Student to benefit from special education. The evidence showed Student was not attending the blended class at Tam because he was at juvenile hall or at drug treatment program. If his out-of-class behaviors spilled over into his classroom program, blended program staff at Redwood was trained to deal with those behaviors. Likewise, the blended program placement was “supportive” of Student’s education in September 2010. It was objectively reasonable that a day program would provide sufficient structure for Student to gain educational benefit, particularly given the level of counseling services and the offer of a referral to CMH wrap-around services. 26. This was not a case where Student’s home behavior and school behavior were intertwined to a point which required residential placement. Student’s problem behaviors while enrolled in the blended program prior to Red Rock were more related to out-of-school problems with drugs and law enforcement. The uncontroverted testimony of Red Rock staff, and documentary evidence including Red Rock clinical treatment goals and mental health treatment plans established that Student was primarily placed at Red Rock to address his drug abuse. While Red Rock may have been beneficial to Student’s overall well-being, mainly the non-educationally related drug issues, Student did not demonstrate that it was necessary to meet the “some educational benefit” standard under Rowley. 27. Student also argues that he must complete the Red Rock program including the home visits and gradual transition home for educational benefit. The evidence does not support Student’s argument. Student’s Red Rock program was based on PPC philosophy and was not an educationally based program. By September 2010, the evidence showed that although Student had not completed the Red Rock program he made progress behaviorally and educationally. According to the testimony of Red Rock staff, Dr. Guimoye and Ms. Mostafa, Student’s ED symptomology decreased, in that Student no longer had somatic complaints and Student showed some anxiety but no depression. Student’s focus and concentration improved since he was prescribed Concerta and he was regularly taking his medication. With Student’s progress at Red Rock and the persuasive testimony of Dr. Guimoye and Ms. Mostafa that counseling and drug treatment in a less restrictive environment in the community was more effective, the evidence showed that Student was ready to return to the community and that the blended program offered was appropriate and the LRE. Student did not demonstrate that completion of the Red Rock program was necessary to meet the “some educational benefit” standard under Rowley. Thus, Student’s argument on this point was not persuasive. 28. Student also contends that District’s offer at the September 3, 2010 IEP failed to include: 1) a transition plan for Student to successfully return to District’s program; 2) increased mental health services to help transition; and, 3) strategies or goals to address Student’s inability to attend school. Student’s contention was not supported by the evidence. The evidence showed that under the IEP at issue, the blended program teacher and professional staff would work with Student to provide strategies, a transition from RTC to SDC, and increased mental health service. The blended program provided family therapy and CMH offered a referral to a wraparound program of home services. The testimony of Ms. Mostafa and Dr. Guimoye established that the blended program at Redwood was designed to transition Student from a more restrictive setting like Red Rock to an SDC classroom in a less restrictive setting. The uncontroverted testimony of Dr. Guimoye that District’s offer of family counseling and referral to the CFRP would help Student and Parents work closely together to give Student the support he would need to be successful in the community also supports District’s offer. Through CFRP, a therapist and a mentor would be provided to Student to address Student’s low self-esteem and help Student to keep his commitment to sobriety. As discussed below, the District’s offer of the Redwood blended program met the transition needs, school attendance needs, and increased mental health services that Student contends were lacking. 29. The evidence showed that the IEP team offered to increase behavior support from its the February 23, 2010 IEP offer: 50-minutes a week of individual as needed to 50-minutes to 50-minutes a week; 50-minutes a week of family therapy as needed to 50-minutes a week; and, no group therapy to 50-minutes of group therapy a week. In addition, the blended program class was a small classroom with flexibility, and the support of an oncampus mental health and behavior professionals from CMH designated specifically to work with blended program students. Student’s argument was not persuasive. Thus, the evidence showed District’s offer of goals and services met Student’s unique needs. 30. Finally, the evidence showed at the September 3, 2010 IEP the team discussed draft goals that included post-secondary transition services, a behavior support plan, and services including individual and group therapy. The IEP team developed goals based on Ms. Mostafa’s assessment and input from Red Rock teachers, therapist and administrator. The evidence showed all members of the team adopted goals in the areas of Student: 1) following directions in the classroom; 2) sustaining focus in the classroom; 3) editing and revising written work; and, 4) working on a transition plan. The evidence established that District addressed the transition plan and increased mental health services through the blended program services and Student’s inability to attend school was no longer an area of need. Student’s argument was not persuasive.